To start it off, I'm incredibly grateful that I had parents who experienced numerous horrific events in their lives, yet still provided an amazing childhood for my sister and me. As a result, I've had the opportunity to continually learn more through education and travel the world. Every day I get to go to a job that I love, in an awesome city, and work with intelligent people who share my positive views. I then go home to a wife who sticks by me despite the difficulties of a relationship that crosses cultural and religious backgrounds. Something more immediate I was pretty happy about was the fact that my wife and I stopped at the bookstore and found a great sale. We picked up five books for less than $15 and followed it up with a visit to the fish spa, where the little buggers nibbled on my toes for the 30 minutes. You don't know happiness until you have little fish eat your toes. In the context of this forum, I love the fact that we're able to discuss virtually any topic, whether personal or general, and find support from people that we've never even met. I'm particularly indebted to several of you for being positive and constructive as I've continued to make portraits; I was going to throw out a large number of @, but the reality is there would simply be too many of you to thank. And I definitely feel grateful to the EE team, all of whom could have likely made more money working elsewhere, but chose to believe in a 15-year-old game. My husband and I met on a dance floor. A year later we got married on that same dance floor. It was a breathtakingly wondrous time of life. I had an accident that left me in a wheelchair for the past 2 years. The pain and depression was overpowering. My husband struggled to adjust to all that was suddenly thrust upon him. He told me, “I can’t do this, I’m not a caretaker”. I fought for the strength to go on each day. In spite of the fact that we had lived and loved together for many years, we have learned so much more about each other over these past two years. My husband learned that he is a caretaker and grateful to still have me in his life. I learned that there are many ways to dance in life and that I am deeply loved by an amazing man. It is a breathtakingly wondrous time of life. It's incredible that both of you were able to not only to adjust, but also flourish. Many others would have given up, so the fact that you're together and happy is a testament to the strength of your relationship. She has to be an amazingly strong woman to push through it twice, and in my experience, that kind of tenacity passes on to children. On a completely separate note, why are your eyes blue in this picture?! In every other one of you we've seen, they're brown! I don't really have a special story to add, or a great struggle I've overcome, but I have an incredibly tight and loving family, great friends, I'm in good health and I'm madly in love. There can be great joy found in simplicity and what some of us may consider the "basics" in life are a lot less common than most of us probably believe, and I am very thankful to have them. When I get down or overloaded with work, I always think about this, and appreciate it more an more. I am very happy that Isandir can partake in such simple joys as those he described, and has a woman who loves him. I think Ravenlight's story was incredibly inspiring, and I hope I can show such strength when I experience hardship. 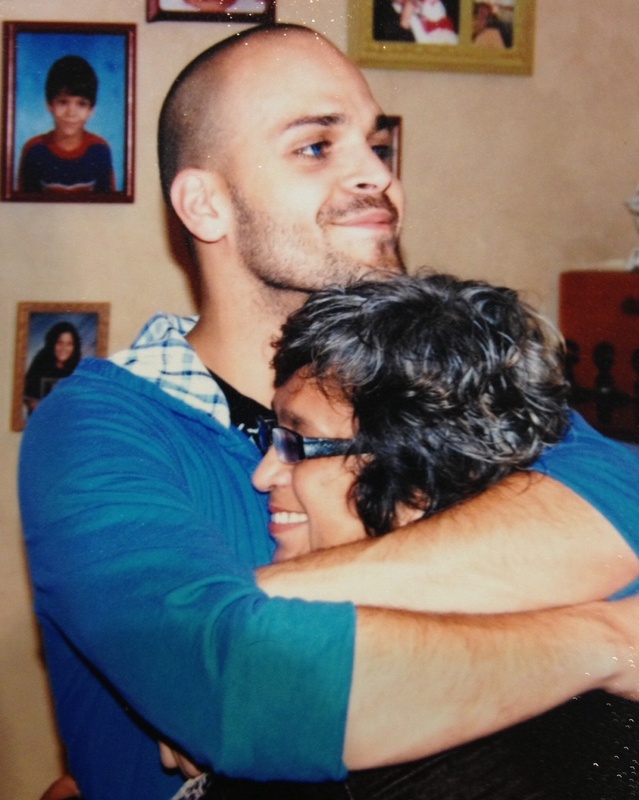 Jackjack's mom is a total G! I hope one day to have kids who love me like that and I also wish could be as tough as she is! "Divert, divert, divert, divert suspicions away from inconsistencies!" Exactly. 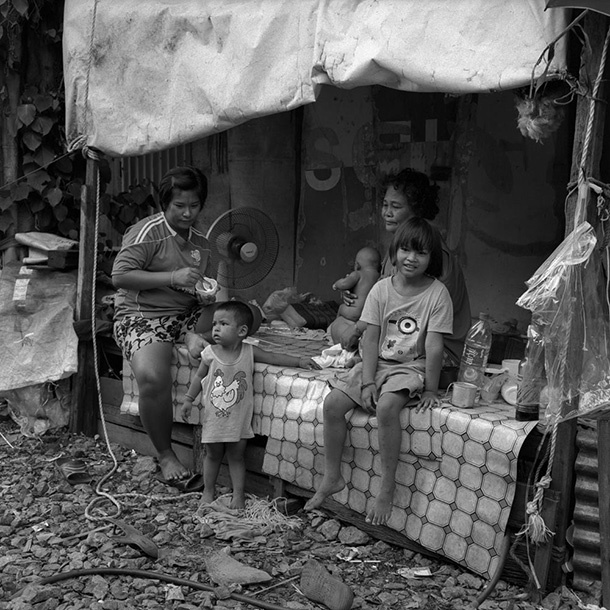 When I step out my house in Bangkok, I see a great deal of of poverty. It's not uncommon to see people sleeping on sidewalks, beggars by the BTS Skytrain, people living in shacks and hovels, and much worse. And compared to other places I've visited, it's still a better standard of living. 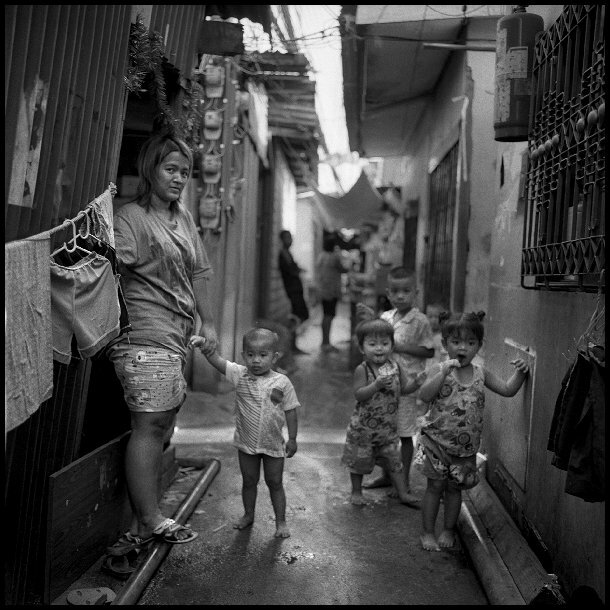 A parent of one of my former students is an incredible photographer who visually documented life in one of the slums here, which is about 10 minutes from my house. 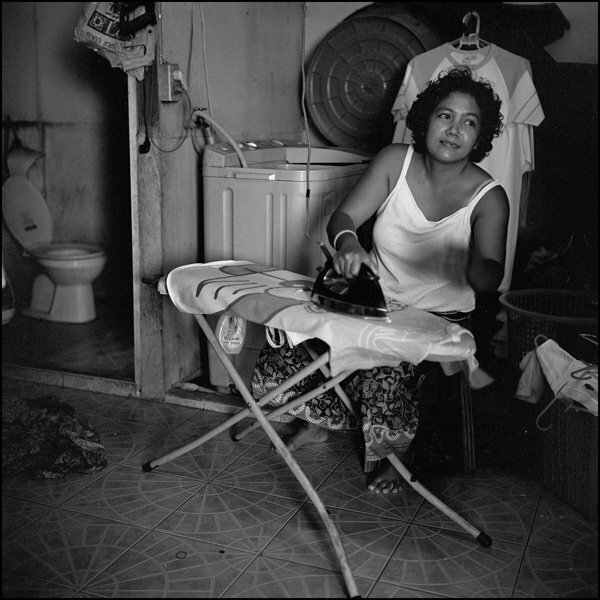 Father Joe, a famous activist who has lived there since 1973, wrote this about the photos: "Most photographers look at the dark side of the slums, but Yoonki sees something different. He looks at 70 Rai through the eyes of our grandmothers and grandchildren, our teachers, our Monks, Imams and Priests, our food vendors and our noodle shop ladies: He sees 70 Rai as we do - as a vibrant family neighborhood, full of life, full of hope, full of love." If people who suffer far more than me can be happy, what excuse do I have? I think it's worth posting some of Yoonki's photos here. I love baking!!! That's all i have for now that makes me happy. Reading this made me smile as baking bread makes me happy. The old adage that bread is the staff of life runs through my mind each time I work newly risen bread dough. It is a living thing. The life force of whole and sprouted grains in a primal dance with yeast to create life that will nourish our lives. Having my hands in it is an almost spiritual and life affirming thing to me. It probably wouldn't be a bad idea to break off the discussion of tipping into its own thread. I think that the few moments of my life I've been really happy was when I had around 4-5 years and my dad did not have a job at the moment, so he would play with me instead of working or doing something else. That was what made me realize that money does not make you happy, nor brings you anywhere nears happiness, and that if your dad drinks hot chocolate each day for two years he'll get diabetes. I also enjoy a lot being with my grandparents (my dad's parents, they are great! ), and with my friends (in school, maybe invite them home and (teach them to) play BG), but other than that I am with a 'Get outta here I'm getting annoyed' mood the whole day. @CrevsDaak‌, you're lucky you already learned that. Many people chase wealth their whole lives and never understand why they're unsatisfied and unfulfilled. I think money can certainly make life easier in many ways, but beyond a certain point, it simply doesn't have that much of an effect. People and relationships are far more valuable than money. On another note, my wife and I made a last-minute decision to stop by a different bookstore today, and came across another great sale. 9 books for $20! For sure money doesn't make you happy but not having money *does* make you unhappy. I would say that, in most of the world, not having ANY money is likely to make you unhappy, but so long as you live within your means, you can absolutely be happy with very little. I'm pretty happy when I play a round of golf with my dad. I'm also pretty happy when my cat decides to jump up and sleep at the foot of my bed. "Money can't accomplish everything, but without money you can accomplish almost nothing." It sounds better in Chinese though, because it rhymes better. Hehe, this morning I went "holy sh*t it's Friday already!" "You can't buy love and happiness, but it sure is a lot more comfortable to cry in a Porsche than on a bicycle." The holidays have begun! Six weeks of summer sun! Group hug from children and a car full of gifts, I now have a chocolate and beer stash to last till Christmas! Party tonight looking forward to it. And thankfully if i am too tired i can stay the night. Might happen due to me staying late when such events occur. I got a special treat this morning as a family of ravens decided to play around the skylight I sit under. I have always been especially fond of ravens. (Big surprise ) They are so close it feels like I could reach out and touch the softness of their feathers. What a lovely way to start the day! Ooh! Still plenty of time to complete the Baldur's Gate Saga at least three times! I love almost all types of birds, including ravens. 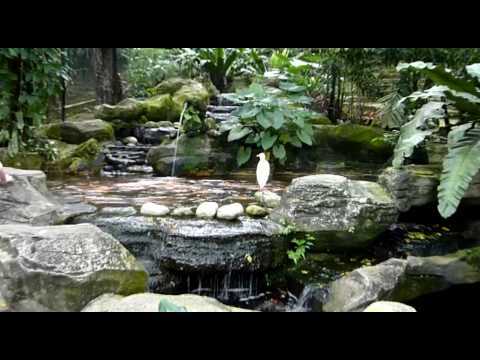 My wife and I went to the Kuala Lumpur Bird Park about a month ago, and visitors are able to interact with a lot of the birds directly. It's a wonderful place to spend a few hours if you're ever in Southeast Asia. Saw a couple of hawks perched on a telephone pole. We mostly just get crows, but our back yard is home to a bunch of house finches who nest in the space below the ledge of the roof. And to add to my happiness today i am making Sprinkle Chip Cookies. On Monday night I couldn't sleep at all, as my throat was feeling very odd. Within a few hours of calling in sick, it had swollen up so much that I couldn't do much more than whisper. When I went to the hospital and the doctor looked in my throat, she did a double-take in shock and immediately ordered an injection to reduce the swelling. Two hours later I could talk. Goodness, I’m glad to hear your doing better and can find the humor in it now. A healthy sense of humor can help make many things in life more bearable.